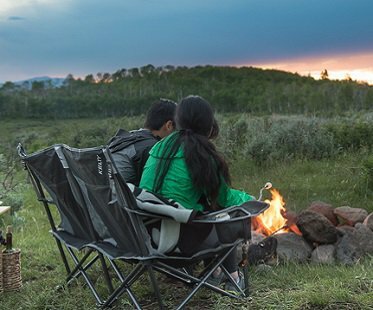 Cozy up with your loved one while enjoying the great outdoors with this 2 person camping chair! It's slightly reclined for extra comfort and it also features adjustable armrests and drink holders! What more could you need?